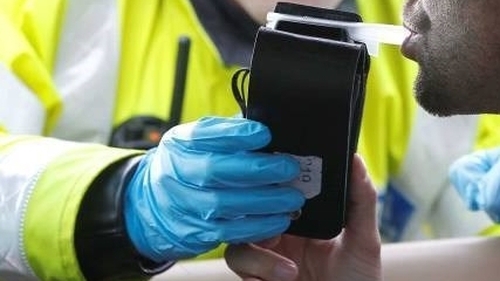 The first two months of 2019 have shown that 1,429 motorists have been arrested for driving under the influence of alcohol or drugs, an increase of 17% compared to the same period last year. The figures have been released as gardaí and the Road Safety Authority issue their St Patrick's weekend appeal. Gardaí said there will be a visible garda presence across the country this weekend, with a targeted focus on those driving under the influence of alcohol, drugs or both. This comes as 34 people have already been killed on the road this year. Moyagh Murdock of the Road Safety Authority has urged people celebrating this St Patrick's weekend to plan ahead and make sure they know how they are getting home, whether by taxi or with a designated driver or by public transport. She also cautioned against people walking home drunk, stressing that almost half of pedestrians killed on the roads have consumed alcohol. She said: "Traditionally, St Patrick's weekend is when people have a few drinks more than normal, so we're urging everybody out there to be aware of their own safety and others and take the responsible way home. "Make sure you have a driver if you're out having a few drinks, organise a taxi, or if you're a pedestrian, plan your journey home."